People naturally look for a path to follow. During times ancient and modern, human beings have looked for a way forward to become healthier, happier, and better in all ways. Communism is not a path that offers a way forward. A path can be judged by its fruits, and by the character of its leading figures. Communism has been tried for more than 100 years by hundreds of millions of people, and the results are always the same: Its fruits are death, destruction, and despair. Its leading figures were cynical and sly men who masked their hatred of humanity with high-sounding words. By any measure, they were as dark and sinister as could be. It was at the crossroads of history, with the rise of industrialization and the decline of monarchs, when mankind was offered a Faustian bargain: Abandon your traditions and morals, and enter a new age. The promise was “heaven on earth,” and the cost was to partake in a movement to destroy morals and religious belief—and to destroy anyone who stood against this new future. The ideas of communism, and the various schools of thought at its foundation, had already seeped deeply into the societies of Europe ahead of the 1917 October Revolution in Russia. Provocateurs presented it as a way out of the suffering of this world—with dreamy tales of an end to poverty and hunger, and a future of earthly delights. Behind the offer were other intentions, however, and these are made clear by looking at the histories of Karl Marx and others credited with laying the foundations of communism. Marx had many similar writings, many of which suggest his goal in using communism was never to help humanity, but instead to enact a sort of vengeance against heaven. Just like his character Oulanem, Marx shows in his writings a desire to not only destroy himself, but to destroy humankind along with him. However bizarre Marx’s early writings were, his stated claims and goals were not far from the reality of what he created: a system that in a single century took an unprecedented number of lives. Estimates vary, but according to combined research from historians, including Aleksandr Solzhenitsyn, Jung Chang, and Jon Halliday, and numbers collected by “The Black Book of Communism,” published by Harvard University Press in 1999, the number is close to 150 million deaths. 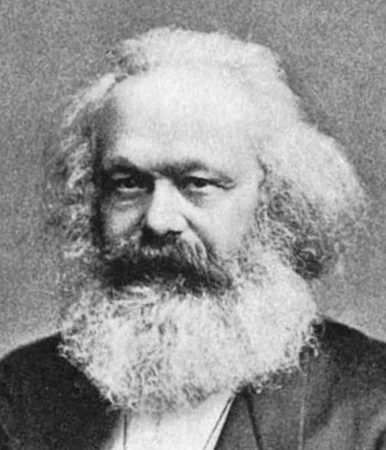 What Marx and Friedrich Engels set forth in “The Communist Manifesto,” published in 1848, was an ideology based on struggle that, according to its own words, “abolishes all religion, and all morality.” They regarded their beliefs as being absolute—the end of human progress—and set forth a proposal that all other beliefs should be destroyed through violent revolution. They based their version of communism in the concept of “dialectical materialism,” the absolute idea that all development comes through struggle and that life is nothing more than matter. An effect of this belief has been a disregard for human life under all communist leaders. In 1906, Vladimir Lenin wrote in Proletary magazine that his interest was in armed struggle, aimed at “assassinating individuals, chiefs, and subordinates in the army and police,” as well as seizing money from governments and individuals. After taking power in 1917, Lenin followed through on these concepts. Tens of thousands of people were arrested for opposing the new regime—many of whom were tortured and executed en masse. “This strategy applied not only to groups with opposing political views, but also to such social groups as the nobility, the middle class, the intelligentsia, and the clergy, as well as professional groups such as military officers and the police,” it states. Lenin also forbade private property, and peasants throughout Russia had their food seized by the state. Lenin set strict quotas on how much was to be confiscated, and when he saw the numbers go unmet, he ordered that even seeds should be seized. With peasants unable to plant new crops, and without a surplus of food for the winter, a man-made famine swept Russia between 1921 and 1922. According to the Hoover Institute, the famine killed between 5 million and 10 million people. History repeated itself under Josef Stalin, following the death of Lenin on Jan. 21, 1924. Stalin began his 29-year rule of the Soviet Union by consolidating his power and having his rivals arrested or executed. In 1929, Stalin launched a program under the banner of “collectivism,” to not only take farmers’ belongings, but to also seize their land and destroy their ability to sell produce. He sent the Red Army to confiscate their belongings, including their farming equipment. A famine again swept the country. In Ukraine, between 7 million and 10 million people were killed, according to United Nations estimates published in November 2003. In Kazakhstan, an estimated 1.5 million people starved, according to the Wilson Center. Meanwhile, farmers who opposed Stalin’s collectivism program were labeled “kulaks” (Russian for “fists”), and tens of thousands were rounded up and executed. Stalin also used this opportunity to strike out at enemies of his revolution, which included priests and devout religious believers. As did Lenin, Stalin later declared the program a success. Through these movements and others that followed, Solzhenitsyn, a renowned Russian novelist and historian, estimated that Stalin killed 60 million to 66 million people. The bloody legacy of Stalin was only surpassed by that of Mao Zedong, head of the Chinese Communist Party. Under a similar program of collectivism, Mao started his Great Leap Forward in 1958, and through various means managed to also trigger a famine that, in four years, killed at least 45 million people, according to “Mao’s Great Famine” by Hong Kong-based historian Frank Dikotter. Just like Stalin and Lenin, Mao excused these deaths, according to research from religious author and historian Harun Yahya. Mao and his supporters regarded the famine as punishment for villagers not being sufficiently obedient to the Chinese Communist Party. Just a year prior to the Great Leap Forward, in 1957, Mao held his Hundred Flowers campaign, when he invited intellectuals to present their criticisms of his regime, then used their criticisms as admissions of guilt. According to “Red Holocaust” by Steven Rosefielde, Mao labeled the estimated 550,000 intellectuals as “rightists” and then had them humiliated, fired, imprisoned, tortured, or killed. In the book “Mao: The Unknown Story,” authors and historians Chang and Halliday show Mao was responsible for at least 70 million deaths. Under communist regimes, and their ideology of struggle, people were turned against each other. Children reported on their parents, students beat and tortured their teachers, young people were turned against the elderly, and neighbors were turned against neighbors. One of Marx’s partners in the First International, Mikhail Bakunin, wrote, “The Evil One is the satanic revolt against divine authority, revolt in which we see the fecund germ of all human emancipations, the revolution. Socialists recognize each other by the words ‘In the name of the one to whom a great wrong has been done,'” according to the book “Marx and Satan” by Richard Wurmbrand. This concept was seen clearly in the effects of communism, as it worked by first breaking people’s spirits through famine, then jarring them with public executions and harassment—all of which worked to turn people away from their morals and beliefs. According to “The Great War and the Origins of Humanitarianism, 1918–1924” by Bruno Cabanes, this was seen immediately after Lenin took power. “These ‘peasant wars’ unleashed demons on both sides: the Communists against the ‘hoarders’ and ‘enemies of the people’; the villagers against all symbols of collectivization,” Cabanes wrote. During the famine under Stalin, there were cases of people cannibalizing human corpses, and of people kidnapping children to cannibalize. An infamous image from this time shows a Russian couple standing over the bodies of children they had partially eaten. Similar acts of cannibalism were recorded under Mao’s Great Leap Forward, and Mao took the acts of turning people against one another a step further with additional social movements. Under his Cultural Revolution in the 1960s, children beat their own parents, students stopped and questioned people on the street about the teachings of Mao—and subsequently beat them for incorrect answers—and teachers, landlords, and intellectuals were hunted and publicly shamed or worse by Mao’s militant group, the Red Guards. Mao branded himself as being “superhuman,” with posters and portraits of him hung throughout China. The Cultural Revolution destroyed or damaged vast quantities of the physical components of traditional culture, such as artwork, temples, museums, and written works. It also left a spiritual void, as the Chinese people lost connection with their own history and the legacy of 5,000 years of Chinese civilization, with its rich traditions of Buddhism and Daoism. Michael Walsh, author of “The Devil’s Pleasure Palace,” noted in a phone interview that Marx’s writings mirror the story of Lucifer in John Milton’s “Paradise Lost,” in which, realizing he can’t defeat God, he comes up with an alternative plan for vengeance by destroying the creations of God. “It’s that notion of transcendence that communism plays on, but never succeeded at. It wants death, and it creates death. Death is the end of every communist system, and it is the goal of Satan,” Walsh said. Walsh said the values at the heart of religion are something shared in nearly all societies throughout history—and that communism played on this same innate root to manipulate humankind. “Everybody wants to be the hero of their own narrative,” he said. Communism capitalized on humankind’s desire for higher purpose, and did so by destroying religion and placing itself at the helm instead. According to “The White Nights” by Dr. Boris Sokoloff, in October 1919, Lenin visited the scientist Ivan Pavlov, known for his conditioned reflex experiments on animals, and Lenin borrowed these animal training methods to likewise train people under the Soviet education system. Wherever the ideas of communism have been adopted, traditional religions have always been among their first targets for destruction. This held just as true under the Soviet Union, which suppressed the Russian Orthodox Church and Catholicism, as it does today under the Chinese Communist Party, which suppresses Western religions as well as Buddhism and Daoism. “The Black Book of Communism” gives unofficial estimates of the death tolls from communist regimes elsewhere, including 1 million in Vietnam, 2 million in Cambodia, 1.7 million in Africa, 1.5 million in Afghanistan, 1 million in Eastern Europe, and 150,000 in Latin America. It estimates international communist movements and parties not in power were responsible for close to 10,000 deaths. In “Marx and Satan,” Wurmbrand posed a question, one raised by many: After religion and culture are destroyed, what is left? The simple answer is that what’s left is a people stripped of their ability of self-control, and with that, their ability of self-governance. It creates people who look to no higher power than that of their state leaders and who see no higher ideals than those of the state. The people then become dependent on the state. This abandonment of morals was also at the foundation of the brutality of the communist leaders and their devout followers—without a belief in a soul, in the traditional ideas of good and evil, or the ideas of a heaven or a hell, their only ambition was the ambition of the Party, and the ideas of right and wrong were boiled down to supporting or opposing the revolution. Without a belief that good and evil have consequences, the leaders and supporters of communism have carried out atrocity after atrocity. Communism has proved to be a grand deception, a con job in human history. The theory is bad, and every implementation of the theory has been destructive to life and morality, starting with the Paris Commune, gathering speed with the Soviet Union, and continuing today in China. After more than 140 years of communism in practice, we can certainly judge communism by its fruits, rather than by what it claimed it would do. No rational human being would follow such a path. Humanity can breathe freely when Marx’s evil “specter” of communism, sooner or later, is cast into the abyss. Joshua Philipp is an award-winning investigative journalist at Epoch Times where he covers national security relating to China. He is an expert on hybrid warfare, including China’s roles and approaches in espionage, organized crime, and unconventional warfare. John Nania is a writer for Epoch Times. This essay originally appeared at Epoch Times.